Matthew R. Smith, 37, who allegedly was planning a mass shooting when he was arrested outside of LB Manufacturing on Nov. 19, 2018, was arraigned in court last week. 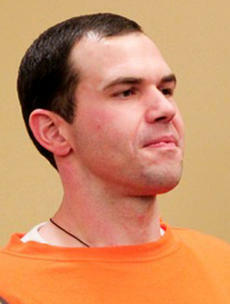 Smith’s attorney, Jude Hagan, motioned for Judge Allan Bertram to reduce Smith’s bond during the arraignment on Jan. 23. Assistant Commonwealth’s Attorney Casey Call presented an argument otherwise, pointing out the dangerous nature of Smith’s arrest and the threat he would pose if bond was granted. The court denied a bond reduction, instead deciding to leave it at the previously set amount of $750,000 until there is a chance to review additional information. Smith is scheduled to appear in court again on Feb. 20.